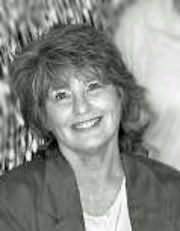 Since writing her first romance novel in 1984, Virginia Brown has written nearly 50 romance novels. Many of her books have been nominated for Romantic Times' Reviewer's Choice, Career Achievement Award for Love and Laughter, and Career Achievement Award for Adventure. Her works regularly appear on national bestseller lists. Having written under several different names about historical eras such as the old West, Regency-era, and the American Civil War, she now writes under a new pseudonym, Juliana Garnett, to focus upon the medieval era. A native of Tennessee, Virginia spent her childhood traveling with her parents as a "military brat," living all over the US and in Japan. This influenced her love of travel and adventure, which is reflected in her work.